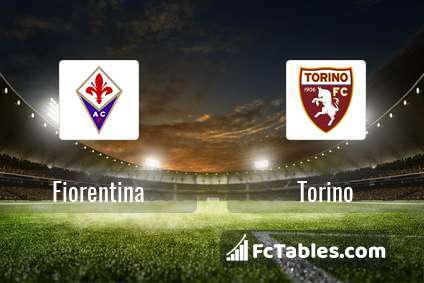 The match Fiorentina-Torino Serie A will start today 13:00. Referee in the match will be Fabrizio Pasqua. Team Fiorentina is located in the middle of the table. (10 place). Form team looks like this: In the last 5 matches (league + cup) gain 5 points. 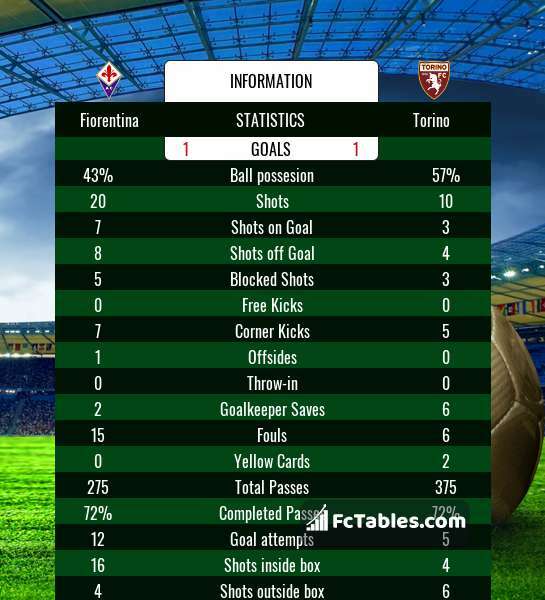 Fiorentina did not win the match at home from 5 games. at home from 4 matches team have not been defeated. The most goals in Serie A for Fiorentina scored: Marco Benassi 7 goals, Federico Chiesa 6 goals, Luis Muriel 6 goals. Players with the most assists: , Federico Chiesa 3 assists. In Fiorentina not occur in the match due to injury: Marko Pjaca. German Pezzela. They will not be able to play in the game due to suspension. Team Torino is located in the middle of the table. (9 place). 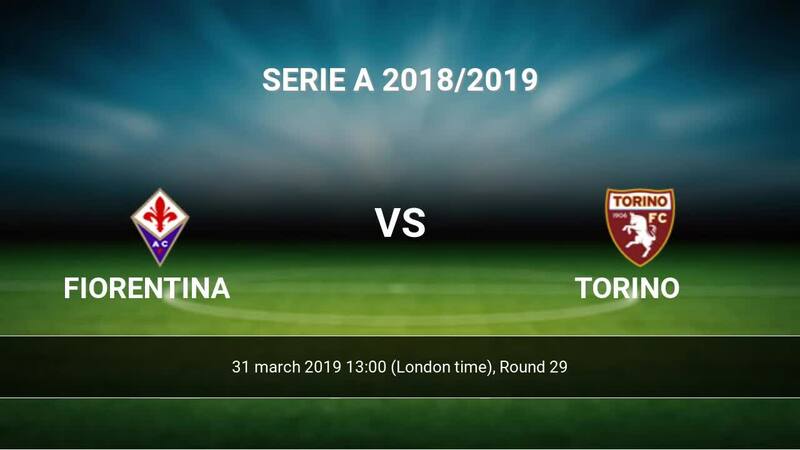 Torino in 5 last matches (league + cup) have collected10 points. Not lost the match away from 3 games. Leading players Torino in Serie A is: Andrea Belotti 10 goals, Iago Falque 4 goals, Armando Izzo 4 goals. Most assists in the club have: Andrea Belotti 2 assists, Iago Falque 3 assists. In Torino not occur in the match due to injury: Vitalie Damascan, Vincenzo Millico. Direct matches: usually ended with winning of Fiorentina. Balace of both teams games are: 12 won Fiorentina, 5 wins Torino, 11 draws. In 11 matches the sum of the goals both teams was greater than 2.5 (Over 2.5). On the other hand, 18 matches teams scored more than 1.5 goals (Over 1.5). In 15 matches the both teams have shot at least one goal.